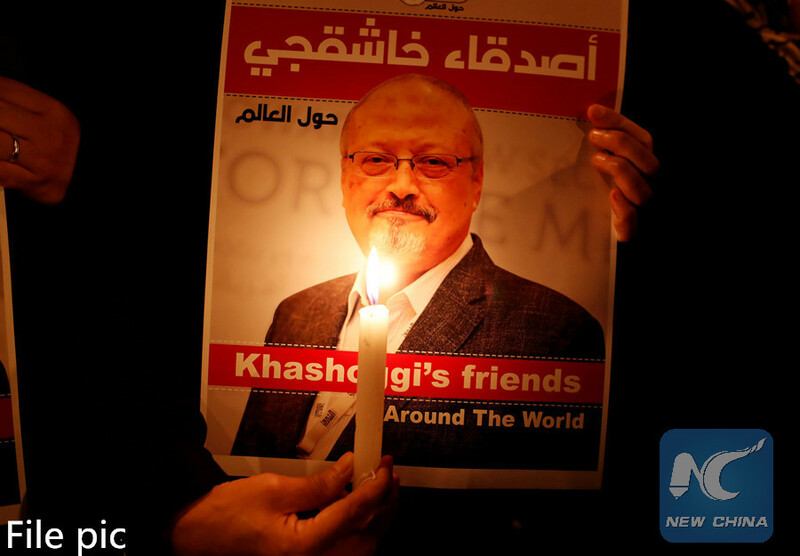 RIYADH, Nov. 15 (Xinhua) -- Saudi Public Prosecution demanded on Thursday death penalty against five of the suspects in the murder case of Saudi journalist Jamal Khashoggi. The public prosecutor highlighted in a statement on Saudi Press Agency that 11 of a total of 21 suspects were charged and will be referred to the court. The public prosecutor requested death penalty for the five over charges related to ordering and committing the crime. The investigation with the remaining suspects will continue in order to determine their involvement and role in the crime. According to the statement, the public prosecution submitted two formal requests last month to the Turkish authorities to provide evidence and information including any audio recordings related to the case. It also requested to sign a special cooperation mechanism specific for this case and is still awaiting response from Turkish side. The Saudi journalist disappeared in Turkey on Oct. 2 after he entered the Saudi consulate in Istanbul to finalise paperwork. The Saudi authority announced in the same month his murder inside the consulate and the arrest of 18 individuals in relation to the case. Three more were summoned for investigation.